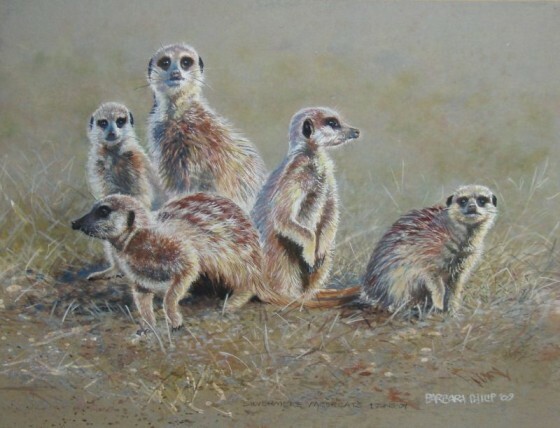 Meerkat Family, Watercolour & Gouache on Grey Canson Pastel paper. 620 x 430 mm. 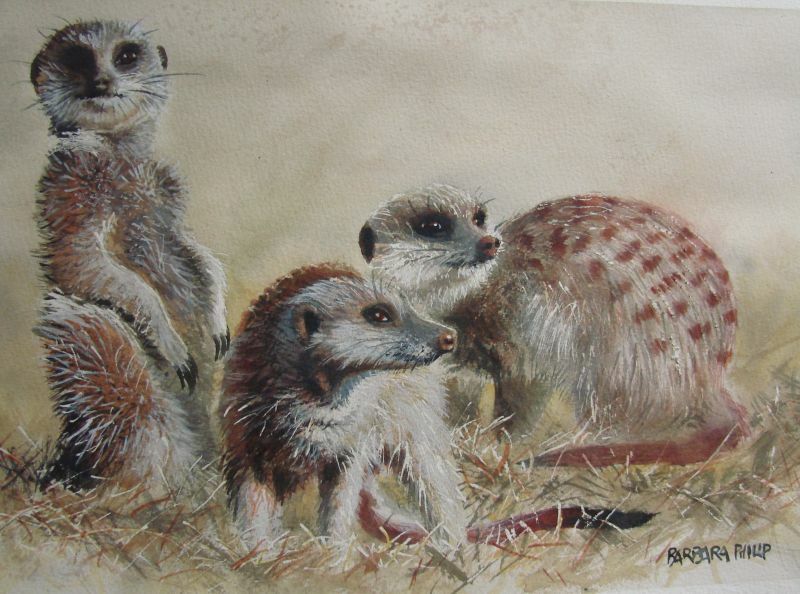 Three Meerkats. 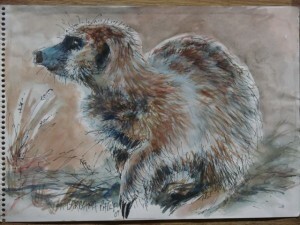 Watercolour on Saunders Waterford. 340 x 250 mm. 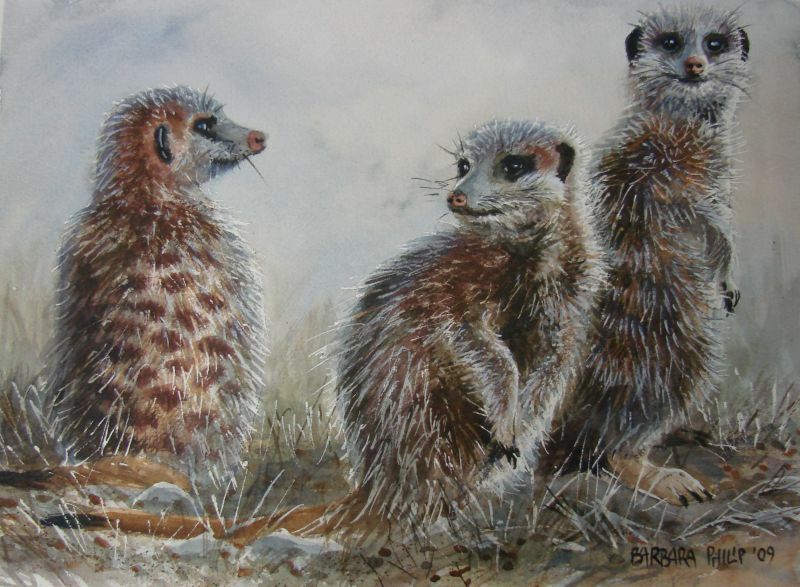 Three Meercats. 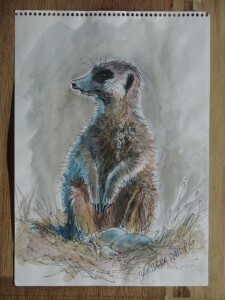 Watercolour on Saunders Waterford. 340 x 250 mm. 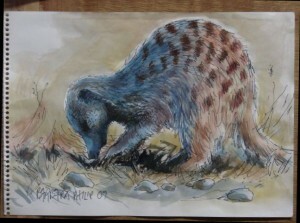 Meercat Sketch 3, Pen & Wash on Cartridge Paper. 290 x 210 mm. 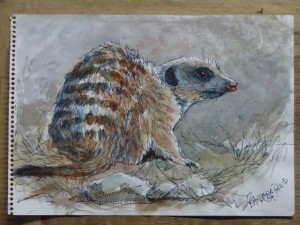 This entry was posted in Blog, Gallery, wildlife and tagged farm wildlife, Meerkats, Watercolour. Bookmark the permalink. Post a comment or leave a trackback: Trackback URL.